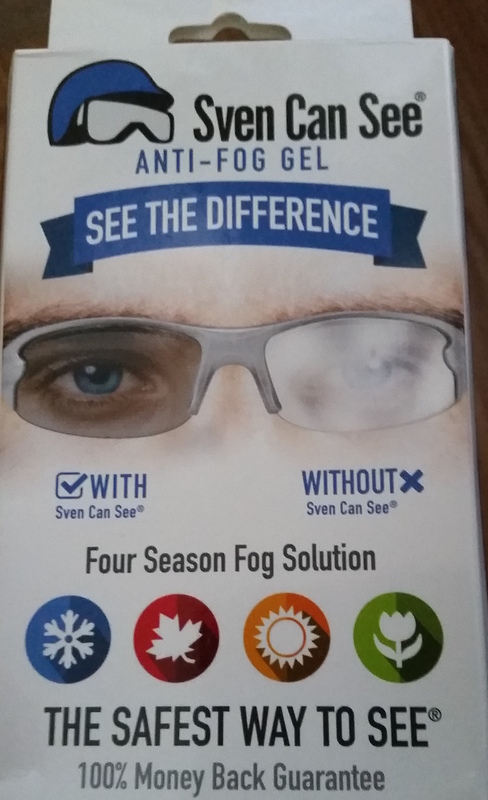 Sven Can See is a gel product to help keep your glasses from fogging up. I have a pair of sunglasses with an Oakley look and they fog in the heat and the cold. The nose pieces are barely non-existent but I love the way they cut the glare so I continue to use them. I thought this was a tough test for this product. The product claims to be a “Four Season Solution”. Since I don’t have snow available and just an Indian Summer I sprayed the product on my glasses before a brisk walk with my adopted greyhound. She walks fast. During that walk it was 70 degrees to start and the temperature was dropping before I finished. It was 5PM so that was a great time to try this gel out. It worked. I didn’t have to use a lot of it and now I wonder how many days it will last? The day after so far so good. I really like this product and can highly recconend it to anybody who wears wraparound sunglasses or goggles. I suspect this would also work on hockey goalie player helmets, they’re constantly wiping the facial shield off. I don’t have one to test so this is my best guess.